The Ram or Papiliochromis ramirezi is a species of Cichlid that has many common names including the Blue ram, German Blue Ram, Asian Ram, Butterfly Cichlid, Ramirez's Dwarf Cichlid, Dwarf Butterfly Cichlid and Ramirezi. 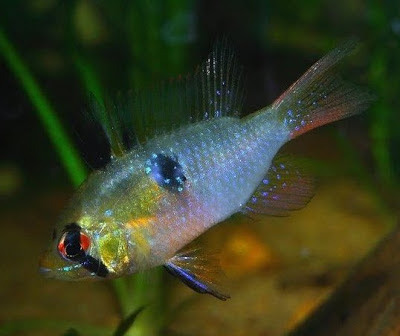 They have a spiked dorsal fin with brilliant deep blue coloration with bits of pink, red, gold and orange. 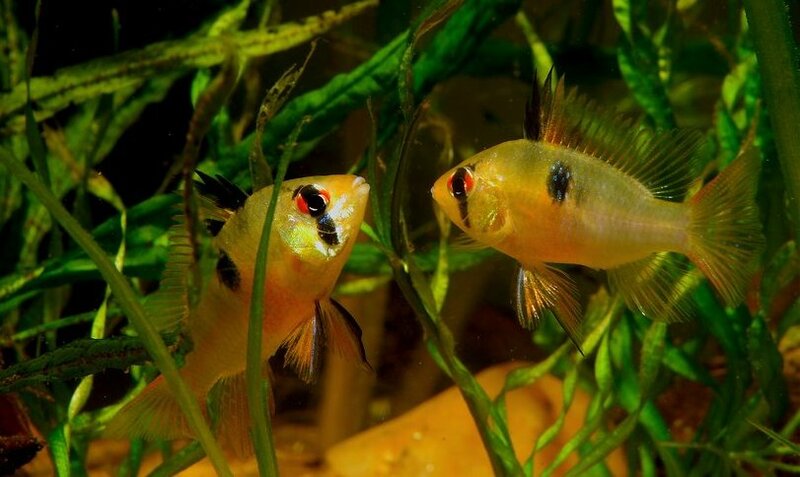 These fish are prefect for an aquarium and can only grow to about 3" in length. If you are thinking of buying a Ram for your aquarium be sure you have the following water conditions, 72-79° F, KH 5-12, and pH 5.0-7.0. This freshwater fish should be kept in an aquarium of at least 25 gallons with plenty of hiding spots, plants and very clean water. This fish can become aggressive if they are not given enough hiding spaces or while they are spawning so be careful. These fish are omnivores that should be fed a variety of foods including bloodworms, brine shrimp, live foods, pellets, and flakes.